The proportion of mobile network traffic represented by voice communications has been steadily decreasing so now it represents less than 2% of traffic compared with around 70% for video. We have also seen the rise of OTT voice services competing with operators. Additionally, the emergence of new voice codecs and complex network technology make measuring end-user voice quality more challenging. As co-inventor of POLQA, the standard for measuring listening quality, Rohde & Schwarz Mobile Network Testing offers the best voice quality test solution. Together with unique video quality and superior social media test solutions, we are the reliable partner for testing the Quality of Experience (QoE) perceived by end users. Today only 1.5% of the traffic in mobile networks is coming from vice services (will be even less in future due to the strong increase of the data traffic). 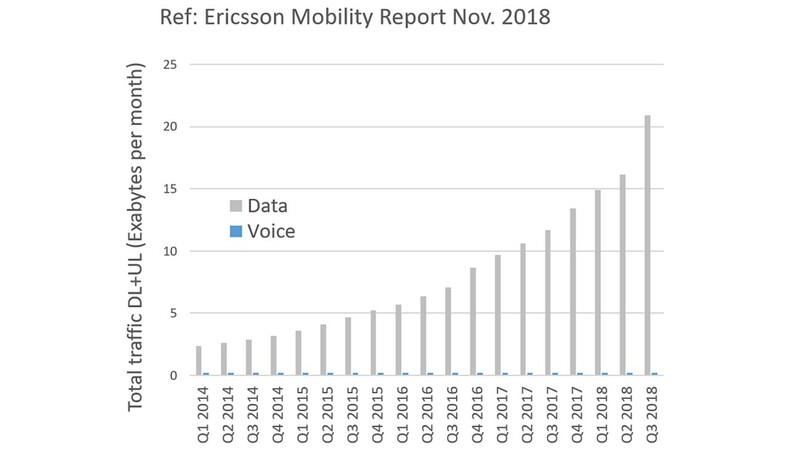 Everybody is focusing on video as main data-consuming applications, but a bad quality of experience of voice service can negatively affect the operator’s reputation and the performance score in benchmarking tests. We all make this annoying experience from time to time. In benchmarking campaigns, the voice services are compared between operators. In addition to this external competition, subscribers also use OTT voice services over the mobile network. The mobile network often treats these OTT voice services as best effort data services without quality of service. Thus, in critical situations the OTT services will fail more often. Telephony is still the most direct and most efficient way of telecommunication. Apart from being an auditory interaction, voice still transports much more emotion – and opportunity for clarification – than any emoticon ever could. Or, as I recently read on a funny postcard: “Why five minutes of calling, when I can do the same in two hours of texting? Today, LTE coverage is widely available and state-of-the-art devices support VoLTE natively. Now is the time to answer some questions: Does VoLTE improve telephony for normal end customers? Do they benefit from a better quality of experience (QoE)? The higher capacity of LTE networks to carry voice calls is an initial improvement, for sure. Although a customer may not experience it directly, the capacity of cells in legacy technologies, especially in downtown areas during business hours, is close to reaching its limit. With LTE carrying voice calls, this situation relaxes. POLQA|3 marks a major improvement over previous POLQA versions and significantly extends its scope and applicability towards 5G and OTT codecs, while maintaining maximum backward compatibility. The recent improvements emphasize POLQA’s position as the unsurpassed gold standard for worldwide mobile network benchmarks and provide the ground for the coming 5G era. Voice remains the principle service for which most subscribers use their mobile device and voice quality continues to be a critical factor in how they perceive their operator and OTT applications. This webinar will examine the significance of voice in today’s mobile networks and look at the importance of an integrated metric that quantifies voice quality from an end user perspective. 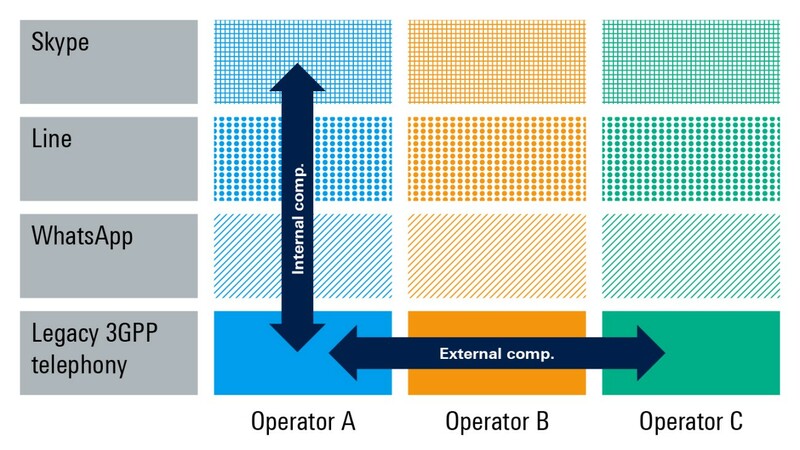 Even though telephony now utilizes only a small part of network resources, it remains a core function of telecommunications networks if measured in terms of the actual duration of usage – and speech quality is an important criterion for the acceptance of a service. Automatic measurement procedures involve meticulously characterizing human hearing based on psychoacoustic models. This is shown here using the state-of-the-art ITU-T P.863 standard as an example.